Sadly, of the 200+ kosher wines at the event, fewer than 40 reds were anything to write about. It was the whites, even at wineries that I found physically painful to taste at, were quite acceptable. In the end it was the white wines that saved the event for me. White wines are the clear new trend in Israeli wineries and a trend that continues to impress. Sadly, the 2014 whites are step behind the 2013 vintages, as many did not add acid to the wines, but they are very solid none the less. In case anyone goes crazy here and starts adding up the wines I liked, the matter I am highlighting here is simple. Of the 40 or fewer reds that I liked, they were almost ALL from wineries that are my usual suspects. So, sure there are wineries in Israel making great wines – I am not contesting that. What I am annoyed about is that the vast majority – new and old – are making wines that I and many others do NOT like! Think about it – 7 years ago if you has said that Israel would become the white/bubbly/rose wine kosher capital of the world, people would have laughed you out of the room. Now, there are wineries that are crushing it in the white/bubbly/rose kosher wine category! Sadly, reds are a different story all together. On Facebook, we have been pounding the subject of overripe fruit and date juice, and the like. To be fair, some wine makers have weighed in and some have simply said we are getting there, eventually. Some say, it is the vintages and other say it is the varietals, while others say it is where those varietals are planted, or how they are managed. To all that I say the following – poppycock! I am sorry, but I have asked many a person who have lived their entire life in Israel, and they are not sure if temps have gone up much in the past 20 years. However, even if they have, they have not gone up so much to explain the clear change in alcohol content and over ripe fruit that litters the kosher wine scene. Look at Yarden in the 90s, in the aughts, the alcohol levels then were in the 14s or lower sometimes. Now the alcohol levels are off the charts. With them have come wines dedicated to the sweet toothed, date drinking public, that so many think rule the kosher wine world. That is the rational I have been given by many a winery. I am sorry, but there were grapes ten and twenty years ago that seemed to work just fine, how was that possible, if they are the wrong varietal and in the wrong places??? I totally agree, that the ideas like Recanati’s Med series, or Tulip’s Maia series, or Netofa’s direction are all correct for Israel’s temperature and climate. But come on, Yarden has been making blockbuster wines, in the El Rom series for many years now, and in the 2011 vintage there are clear and present notes of date and over ripe fruit. Is there truly nothing sacred anymore! In 2011 to create over ripe fruit, in a winery like Yarden with such tight and impressive controls can only mean one thing – they wanted it that way! On the first of the two days of Somm, I found myself at the Yarden booth and there standing – pouring white wines – was none other than Victor Schoenfeld, head wine maker of Yarden Winery. I decided not to bring up this subject as I had heard his responses in the past and just wanted to taste the wines and go on my way. Well, surprise – surprise, a young man walks on over and starts talking to Victor about this very subject – no prodding or comments from me at all! The good news is that this is nothing new! California went through it in the 70s and 80s and now is creating wines with lower alcohol and higher acid content. Now please, understand that I have NOTHING against ripe wines, what I take issue with is over ripe wines. Many of the kosher wineries I love from California are ripe wines, Shirah, Hajdu, even Covenant and Hagafen. Four gates and ripe are a true oxymoron, but he grows his grapes in Santa Cruz mountains! Still, the issue here is that there seems to be a learning curve with fruity wines, they are easy to accept and drink, because they are hard to miss. The bigger, badder, bolder, and fruitier they are – the more obvious they are to the consumers. As consumers improve their palates, they will start to grow tired of high alcohol contents, as they did in California, and I hope the final outcome will replicate itself in Israel very soon. Another note of importance is that we live in a society and generation of instant gratification – of instant money, value, growth, and outcomes, without even a thought of the issues that are involved. In my personal career, I have lived through this many a time. However, if you want to play that game in the wine world – that will fail epically! Why? Because the turn around time for an idea that a winery wants to implement, is not like just getting a bunch of geeks in India together and whipping out an app! In the wine world, from gestation of an idea to its release to the market, is anywhere from 4 to 7 years! Four years if it involves no vineyard changes, seven or more if a vineyard or a change of location is needed. After that, perfection takes even longer, just ask the French about that! Now, with that said, I go back to Yarden and Tishbi and others that have been around for a long time and none the less, have found themselves siding with the date drunk public. I state this because the wines of 2003, 2006, 2007, 2008 and others in the 90s were very good to epic wines. They were ripe, they were sweet, they were VERY Israeli, and they were great! Why the slow and gradual change to date juice? Are we saying that the public was unhappy with ripe wines and that now they have changed their palate so much that ONLY over ripe wines would sell? That is why I call the answers I stated above to be poppycock! Clearly, Rogov helped Yarden a ton, and with his passing they lost a huge cheerleader, but is the only answer – over ripe fruit? I can assure you that over ripe fruit is not a phenolic or control issue, Yarden and many other date drunk wineries are so technologically advanced – that it would make NASA look like children. This is a clear direction, but why were the wines of the aughts not an option? Why the clear and sudden and deeper commitment to sweeter notes required? The data does not backup the sudden changes at many wineries, from nice ripe wines to over ripe wines. 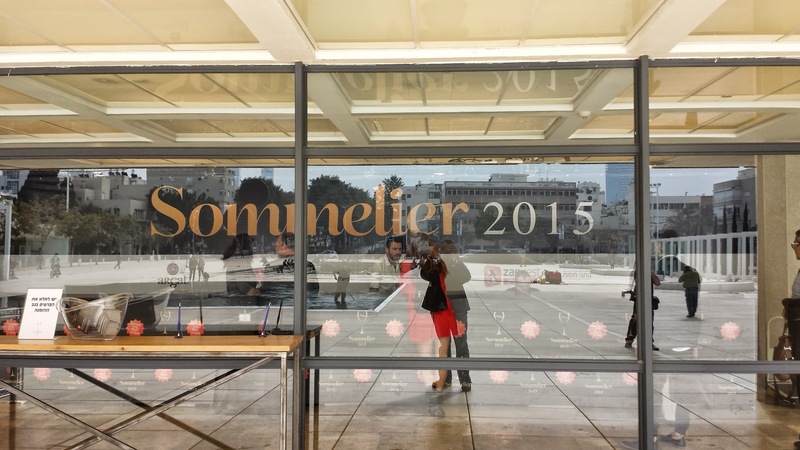 OK, I think I have beaten this horse to death – and I am sorry in advance for that – but Sommelier 2015 was an eye opener for me. I may be picking on Yarden in this post, but I assure you, I tasted almost every kosher wine there, and the wines listed below are all that I could recommend! So very sad. Every winery that wanted to show its goods, did so by begging me to sit through over ripe, over extracted, inelegant wine after painful and indiscriminate wine, one after the other. They all tasted the same and were the same – wines that I could never recommend. I truly hope that by highlighting the good wineries, that we will all find a way to force wineries to make better wines. I understand it may take 4 to 7 years, and that cost will be born by us all. My answer to the winemaker that was kind enough to reply to me on Facebook was – all this means is that I will spend my money at wineries that make me happy. I hope you will also do the same! 1. 2012 Gvaot Vineyards dance – lovely wine! 6. 2013 Gvaot Petite Verdot – typical and lovely! 8. 2014 Gvaot Rose – thankfully Shivi returned to making actual rose wines, not like last year’s Beaujolais Nouveau – and what a crisp wine it is – BRAVO! 1. 2012 Ramot Naftaly Barbera – thankfully a return of this Italian grape to prominence in the hands of Ramot Naftaly – here is hoping for more solid vintages to come! The wine was blue and bright, not overripe like 2011, and with dusty tannins that bring the whole wine together nicely. 2. 2013 Kishor Red Blend – a stunning wine that is a Bordeaux blend and one that excels at its core. Dirt, mineral, graphite, and dark fruits abound. 3. 2012 Kishor Riesling (sweet) – a lovely wine that reminds me of Hagafen’s hit wine series. Ripe, petrol, oily texture, with tropical fruit, honey and spice. 3. 2014 Tabor Rose – EPIC! Maybe the second or third best of the show behind Recanati Rose Gris and Gvaot, and maybe not – they are all neck to neck. Pure focus, with crisp bracing notes, mineral and pith. Made from Barbera grapes – this is a MUST buy! 1. 2013 Carmel Riesling, Kayoumi – this is not a new release, but it will be for the US, EPIC and clearly the best kosher Riesling out there. QPR star – buy it and enjoy! Crisp, dry (almost) and purely enjoyable, with clean lines, focus, acid, and minerals galore! 2. 2013 Carmel Admon Vineyard Chardonnay – I had seen this out on the market in Israel, and in many ways it reminded me of the Odem vineyard chardonnay from Yarden – quite lovely. The ripe tart fruit, controlled use of oak, not another oak/butterball bomb. acid core with good brioche and fruit. 3. 2010 Carmel Vineyards Cabernet Franc (Israeli) – This is the second year for the new labels as they replace the appellation series. The CF was the best of the bunch, and this was just for Israeli labels, I have yet to taste the US version. 4. 2011 Carmel Cabernet Sauvignon, Kayoumi (Israeli) – this marks the return of the Kayoumi cab to the market, after taking a break in 2010, the wine is clean and black and richly extracted and a lovely expression of Cab at a reasonable price. This is a wine that will appeal to the date lover (not from over ripe fruit but from the rich extraction) and to the old world wine lover as well – very nice. 1. 2013 Yatir Viognier – sadly this is a wine that is no longer imported to the US, so get some in Israel as I did! Lovely, rich, oily, layered, floral, with pear and honey and summer fruits. 1. 2009 Yarden Rose Brut – In many ways even better than the 2008, and now this epic wine will be sold in the USA! This vintage shows more red fruit than 2008, but the insane acid is there, with small mousse attack and citrus madness. 2. 2008 Yarden Brut de Brut – The 2008 vintage is more tart and citrus than the epic 2007 vintage and in many ways, it is also better. The 2007 was richer and more hedonistic than the 2008. The 2008 though is rich and layered with beautiful mousse, more red fruit, and a never ending finish. In ways I think this vintage is a bit more elegant than the beast that the 07 was. 3. 2014 Yarden Sauvignon Blanc – Lovely, it tastes more bone dry than the 13, but with more intensity and mineral. Still, the 13 has it beat simply on the acid levels. 4. It was fun tasting the 11 and 13 Yarden Katzrin Chard side by side, an early tasting from one of the private tastings. The 13 showed richer and smokier notes with more oak and creamy notes. The 11 is more focused, streamlined, tart, and green tea driven. In the end, both will be great. The 11 is ready now, while the 13 needs time for the oak to settle down. 1. The newer 2012 vintages are too ripe for me, but the 2011 was just perfect and nice. The 2011 Gros Cabernet Sauvignon , with 4% Franc, was mineral driven, with black ripe but controlled fruit, showing nice structure, dense and draping tannins, wrapped in elegance. Recanati continues its impressive run at managing fruit while creating wines that are more acclimated to the country’s warmer climate. Sure, they still make wonderful Cab and Merlot but their true future lies in the Mediterranean series. In the grand scheme of things, I find that even the Yasmin wines have improved, while the base line series (called Diamond in the US), are solid B+ wines. Still, they shine brightest at the next level, in with what is called the Mediterranean series, which now has the crazy Carignan, the new Marselan (starting in 2012), the epic Syrah/Viognier, and the reasonably priced but killer Petite Sirah. They all combine to show that Israel has a future in wines that shows finesse as much as it shows firepower. Of course, there is also the Cab reserve and the Merlot reserve topped with the Fantastic Recanati Special Reserve. Beyond the known wines of Recanati, there are the unknown wines of Recanati. They make two blends for restaurants, they sell a wine in the UK that is available just there (a PS and Carignan blend) and they made a rose last year that was for sale only in Duty Free. Thankfully they opened that now and the rose gris is available in all of Israel, GET SOME!!! Besides the Barbera only Tabor Rose, this is a made from Marselan – and what a wine it is! 1. 2013 Recanati Marselan, Mediterranean – what a lovely expression of sweet, controlled, cool weather Rhone varietal wine. Ripe and blue with roasted animal, red and blue/black fruit, lovely and rich extraction that wraps the wine is a cocoon of spiced plum, sweet cedar, root beer, chocolate, and spice. Lovely. 2. 2013 Recanati Carignan, Mediterranean – this may well be the best one so far. The 2013 vintage was a blessing after 10,11, and 12 for some people. The 13 was kind to everyone! The wine is layered, extracted, rich, and truly unique. The earth, roasted animal, mineral, and fruit, all come together with crazy extraction, spice, and more dirt! The wine is well balanced with acid, spice, boysenberry jam, leather, and spices galore. BRAVO! 3. 2013 Recanati Petite Sirah, Mediterranean – This is a lovely expression of petite sirah, one of the best so far from Recanati and one of the best so far from Israel for sure. The best kosher expression of this grape, still lies in the hands of Hajdu wines, but it is still a lovely wine. The wine is rich and layered and blue all over, with fantastic fruit structure, extraction, along with floral notes, green notes, and mad mineral. Lovely. 4. 2011 Recanati Blend #5 – this is one of the blends for restaurants, and I can assure you the patrons of those restaurants are very lucky folks. The wine is a blend of 90% Cab and 10% Syrah, with ripe and controlled black fruit, mad fruit structure, intense mouth drying tannins, and graphite that make the Cab’s presence felt. The Syrah is there to add spice and body to the blend – BRAVO! 5. 2014 Recanati Rose – This is the classic blend of Barbera and Merlot, and not my favorite of the two rose wines. It is crisp and clean, but misses a dop of acid to really make it shine. Still a lovely go to rose that is available in the US and Israel. 6. 2013 Recanati Special White Blend #3 – the wine is made of 95% Colombard and 5% Chardonnay – WOW!!!! Please make this available to everyone. To me, I prefer this wine over the white RSR. I have never been a huge fan of the white RSR, to me it lacks the acid and while it is a more polished and professional wine, this wine makes me happy. The wine is so tart and ripe and pithy that it puts a smile on my face when I tasted it. The wine is lovely with ripe quince, melon, hints of brioche, and vanilla. The mouth is layered and rich with tart fruit, mad spice, honeysuckle, floral notes, and lovely pith. Please make this wine available!! BRAVO! 7. 2014 Recanati Gris de Marselan – this wine may be at the same epic status as the famed 12 Shirah rose and the 13 Hajdu rose. The nose is pure heaven, with mad spice, mineral, kirsch cherry, and quince. The fruit is candied but controlled with mind blowing acidity and mineral that it cuts through anything I was tasting. The pith is searing with the perfectly focused acid, topped by pink candied grapefruit, lemon, gooseberry, candied raspberry, dirt, and more pith. The finish is so tart it is crazy with mineral and earth closing it out! BRAVO!!!! This is a must buy, go out and get a bunch! Everyone knows my feelings about Tzora, they make wines that do not speak to Israel as much as they speak to Eran and the winery’s desire to create great wines in Israel. They have embraced and truly succeeded at creating wines that speak to the terroir of Israel, without succumbing to the climate of Israel – so special. They had two wines at advanced tasting – the 2012 Misty hills and 2013 Shoresh red. I did not take great notes of the 13 Shoresh red, but suffice it to say, that it is another home run! 1. 2012 Tzora Misty Hills – what a lovely wine! I think it may be their best ever, and that is truly saying a lot. The wine is ripe and tart and green all at the same time. The wine is elegant but austere, with full bodied attack of dark fruit, along with hints of barnyard, crazy earth, dirt, and mineral, all wrapped in layers of rich extraction, cassis, and dark fruit. The finish is long and green with fruit structure that lingers forever. The 2012 vintage was made under the watchful of Yotam Sharon (his second year there at that time), and you can feel his passion in every sip. The wines are rich and far better than the 2011 vintages, showing more time with the fruit, and better control. 1. 2012 Trio Spirit Of Jerusalem – the blend of Cabernet Sauvignon and Syrah shows nicely with fine control of red and black fruit, nice layers of concentrated fruit, good extraction, and sweet oak. The finish is nice ad extracted with good acid, mineral, graphite, blackberry, nutmeg and cinnamon. 2. 2012 Trio of Alona – the 100% Carignan wine is lovely! The nose is rich with roasted meats, crazy dirt and mineral, and more dirt to be sure. The wine is full bodies, extracted, rich, layered, with white fruit, smoked peach, raspberry, currant, mad mouth drying tannins, kirshe cherry, and more earth. The wine is a tannic bomb that needs time, with time the leather, dirt, and roast coffee, and root beer will become more pronounced and the wine will be ready to enjoy – BRAVO! I have to be honest here – I really was not sure about these wines. These are clearly wines that will appeal to many folks but to me they are too sweet. With that said, the wines are professional expressions of Israel, and are far more accessible than the 2012 Pasco #1 wine. Some will find these too sweet with date – while others will look past that issue, as it does not dominate the palate, to see the lovely body and structure. 1. 2013 Lewis Pasco #2 – the wine is a blend of 73% Cabernet Sauvignon, 20% Merlot, and 7% carignan thrown in instead of Petite Sirah like last year. The nose still has lovely blue and black notes, with crazy earth and currants. The mouth is well structured, but sweet to the taste, with date, nice mouth coating tannin, and softer tannins and structure than in 2012, with good elegance, nice extraction, and spice. The finish is long with blue/black fruit and tannins lingering long. 2. 2012 Lewis Pasco Liquidity – you have to love the names that Lewis gives his wines; both cheeky and with a hearty smile – but lovely in all the right ways! The nose is still closed with great spice, more blue and black fruit, perfumed and elegant. The mouth on this full bodied beast is elegant with rich extraction, blackberry, plum, vanilla, dill, plum, cassis, with dates bringing up the rear. The finish was rich and layered with mouth coating tannins, spice, nutmeg, cinnamon, all served along side a cup of steaming roasted coffee and pith. An impressive wine with body and structure, I just wish the fruit was more controlled, but that is me. Shivi was nice to bring a vertical of Masada wines; the 2006, 2007, 2009, and 2011 (that was at the tasting), and the 12 (which was behind the table). 1. 2006 Gvaot Masada – The 2006 was the craziest of the bunch – by far! The wine is pure mineral, herb, green, and gnarley, with raspberry, and lovely basil. The mouth is full bodied with clear barnyard, red fruit, intense extraction, tannins that go forever, mixed with blackberry, plum, and sweet oak. The finish is never ending with tannins that do not give up, graphite, saline, slate, spice, all accentuated with green notes, and fresh tarty fuit. CRAZY! BRAVO! WOW! One of the best wines I have tasted from Israel, not at all an Israeli wine. 2. 2007 Gvaot Masada – the 2007 vintage is at its end, a wine that structure wise will keep going, but fruit wise is already too sweet for me and ripe all over. The wine is still lovely, if you can get to it in the next 8 months or so. Crazy black fruit is all over this wine, blackberry, cassis, black spiced candied plum, with notes of oxidation, balanced with nice barnyard, anise, Asian spices, and sweet fruit. The secondary wine notes are now showing with leather candied fruits, and mad spices. Enjoy! 3. 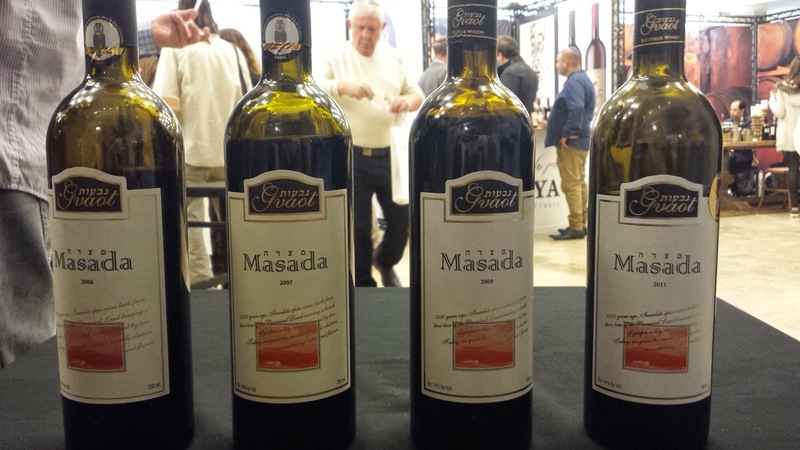 2009 Gvaot Masada – the 2009 vintage is clearly the ripest of the bunch, but also the closest vintage to the 2006. It is the perfect blend of mineral, ripe fruit, dirt, earth, madness, and the starting notes of barnyard. The blackberry, mad extraction, ripe plum, sweet herb, and fruit structure show a wine with elegance and brawn at the same time. The finish is super long and extracted with layers upon layers of earth, ripe red and black fruit, and lovely leather – BRAVO!!! Dalton seems to have had issues with the 12 vintage. Many of the wines show clear leanings towards date and over ripe fruit. Some of the higher end wines are controlled, but some of the Alma series and the D series is moving in that direction – from the 12 vintage anyway. I hope this was a one time blip. We had a lovely 13 Zinfandel at the winery, that was well controlled, so I hope 12 was one of those vintages…. 1. 2012 Dalton Alma Cab/Shiraz – the wine is simple enough, clean and well made with blue and black fruit on the nose with mineral on the side. The wine is medium bodied with layers of spice, searing tannin, graphite, nutmeg, and saline. The finish is long with blackberry, blueberry, and spice. NICE! 2. 2012 Dalton Alma Cab/Merlot – BRAVO! this is what typifies Alma to me. The wine that is so Bordeaux, reasonably priced, and lovely! The nose is pure mineral, graphite, and earth. The mouth shows a medium plus body with rich fruit, nice structure, roasted herb, all in full control with tannins to spare. The finish is long and layered with blackberry, cassis, raspberry, all wrapped in leather and more mineral – BRAVO! 3. 2013 Dalton Sauvignon Blanc, Reserve – the nose and mouth on this wine is pure gooseberry, herb, green notes, and forest foliage. This continues in the medium bodied mouth with quince, guava, crazy pink grapefruit, tart apple, lovely citrus, and lime. The mineral and saline close it out with pith on the rise – BRAVO!! I tried all the wines and to me they were all over ripe and typical to my rant. However, the 2010 Cave was nice. Not a wine that is worth the price, but still nice. 1. 2010 Binyamina Cave – Here is a wine that while showing hints of date, is still a nice expression of Bordeaux wine in Israel. The nose shows herb, mineral, and earth. The mouth is controlled, but pushed to the edge, with hints of over ripe fruit, green notes, lovely fruit structure, plum, cherry, currant, cloves, and mouth coating tannin, wrapped in an elegant package. The finish is long with herbal notes, pomegranate, and hints of date on a long spicy finish. Personally, this was my surprise of the entire event for sure, and maybe the best wine I tasted at the event, and it is clearly the best Carignan out of Israel so far. The wine is made by Kobi Arviv, the other associate wine maker at Recanati Winery. Both associate wine makers at Recanati, Ido Lewinsohn and Kobi make wine at home, but Kobi’s winery; Mia Luce is kosher! Mia Luce means my “My light”, loosely translated it means my life/meaning. Kobi is passionate about his craft and it shows in his wine for sure! I sat down with him near the winery, and spoke about what wine means to him and what he wants from it. He started it because his family loves wine, a love that was instilled into him at a young age. He was part of the first class to graduate from Tel Chai College, and he has been making wine since the 2009 vintage! In 2009 he made wine using the Carignan grapes from the same vineyard that Recanati makes it from, the Wild Carignan vineyard on the Judean Hills. In 2009 he also made an almost pure Merlot wine from the Judean Hills as well. In 2010 he returned to only the Carignan, same in 2011 and 2012. In 2012 he also made a white blend wine, called Bianco, that is 93% Colombard and 7% Chardonnay. I bought all the bottles I could and will post on them when they settle down here in the US. 1. 2012 Mia Luce Rosso – to me this wine has a bit more mineral, spice, saline, and hedonism than the Recanati Carignan, but they are both lovely wines! this wine is a blend of 97% carignan and 3% syrah. This wine starts off with rich charcoal, mineral, earth, and dirt, followed by roasted animal notes, tar, and blackberry. The mouth on this full bodied wine is rich, black, and intense, layers of black fruit, extracted with crazy coffee, intense black olives, bb, black currants, and cassis. The finish is super long with mounds of mineral, saline, tannins coating the mouth with spice, green notes, and and leather. BRAVO! The last winery I tasted wine at was Eyal Winery – a winery I see posting all over Facebook, but one I never have visited in person. The winery is family owned and Eyal has been making kosher wine from his family’s vineyards since 2009. He makes some Carignan, but that was not at Sommelier, or it was “further under the table” than I could reach! Either way, of the wines I tasted – two stood out, a white and a red. The wines are very ripe, which is not my cup of tea, but one red worked nicely. 1. 2013 Eyal Gewurtztraminer – this is a nice semi-dry wine with rich tropical notes that work well together. Guava, lemon, melon, jasmine, and hints of soap make for a lovely perfumed nose. The mouth is rich, textured, and almost oily with more crazy floral notes, honeysuckle, honeyed fruit, and spiced peach. The finish was long and mineral with slate and residual sweetness – nice! 2. 2012 Eyal Shani – this is a blend of 40% Merlot, 35% Cabernet Sauvignon, and 25% Shiraz. The nose is controlled, mineral, spice, and trat fruit. The mouth is controlled, with good acid, nice medium plus body, with sweet fruit, blueberry, herb and spice. The finish is long with nice tannins, spices, leather, and sweet tea. Posted on February 13, 2015, in Israel, Israeli Wine, Kosher Red Wine, Kosher Rose Wine, Kosher Sparkling Wine, Kosher White Wine, Kosher Wine, Wine Industry, Wine Tasting and tagged Binyamina Winery, Carmel Winery, Dalton Winery, Eyal Winery, Gros Winery, Gush Etzion Winery, Gvaot Winery, Herzberg Winery, Jezreel Winery, Kishor Winery, Lewis Pasco, Mia Luce Winery, Pasco Winery, Ramot Naftaly, Recanati Winery, Sommelier, Tabor Winery, Trio Winery, Tzora Winery, Yarden Winery, Yatir Winery. Bookmark the permalink. 20 Comments.